During my first Sri Lanka journey, I’ve done so much wrong. I haven’t done any research on culture, people and nature and ended up returning quite disappointed on some essential things. 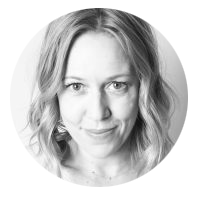 I want you to enjoy the country and avoid the mistakes I’ve made and therefore talked to travel expert Tekla from Fairaway about sustainable travel in Sri Lanka and how to be a responsible traveler. We’ve discussed my 5 most important questions. The term sustainable travel has been appearing only since the early 2000 and has been gaining importance since then. 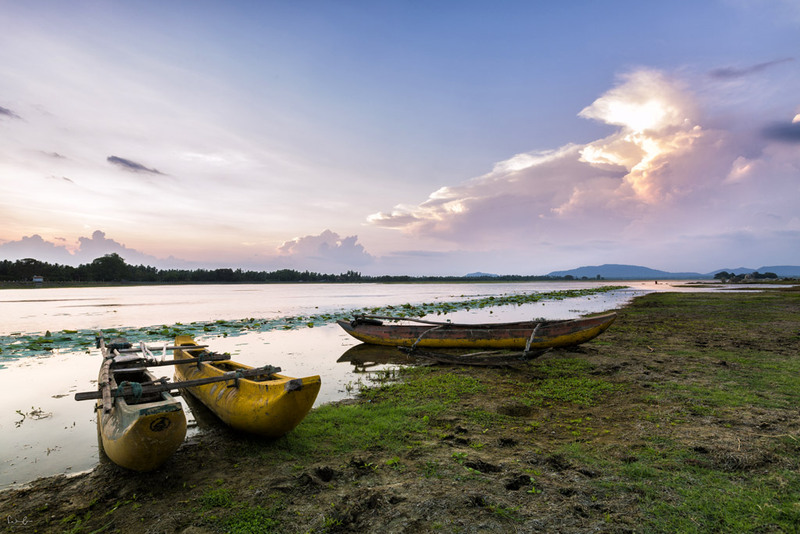 More and more people are looking for ways to be a responsible traveler and tour operators focus on ways to travel green. But what exactly means sustainable travel? It means traveling in a way which doesn’t harm the nature, reduces the negative impacts to a minimum and is beneficial to the locals. Who travels green is interested in experiencing the local nature and adapts to the culture. Sustainable travel does not only cover environmental and economic factors, but also the cultural aspects. Find out how you can travel through Sri Lanka in 10 days and make the most out of it with my suggested itinerary. I visited Yala National Park in Sri Lanka during my first visit. I was totally excited about the safari and luckily I even saw a leopard. However, it was not only me who wanted to see leopards and other mammals. Too many jeeps with tourists were racing through the park in search of exotic animals to satisfy the tourists. I started thinking and was doubting my decision to go on this safari, but I silenced my conscience by telling myself that the Dollars are necessary to preserve the animals. Is this true? 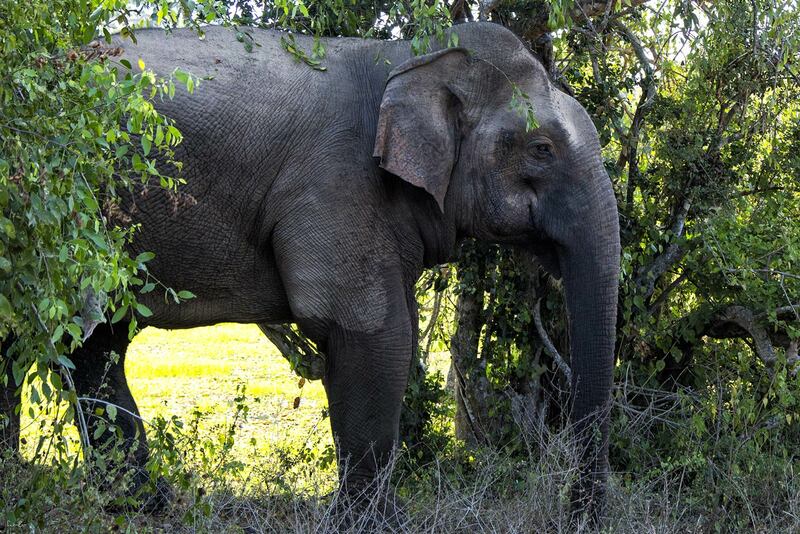 Tekla recommends visiting less frequented National Parks like Wilpattu or Gal Oya. The revenues from the tourists help the parks and a major part is used to support nature protection. Wilpattu is about 180 km north of Colombo and you can observe leopards, elephants, bears and crocodiles in a beautiful nature resort. Gal Oya is in the southeast of the country and offers a unique boat safari. 98 Acres Resort & Spa in Ella*. 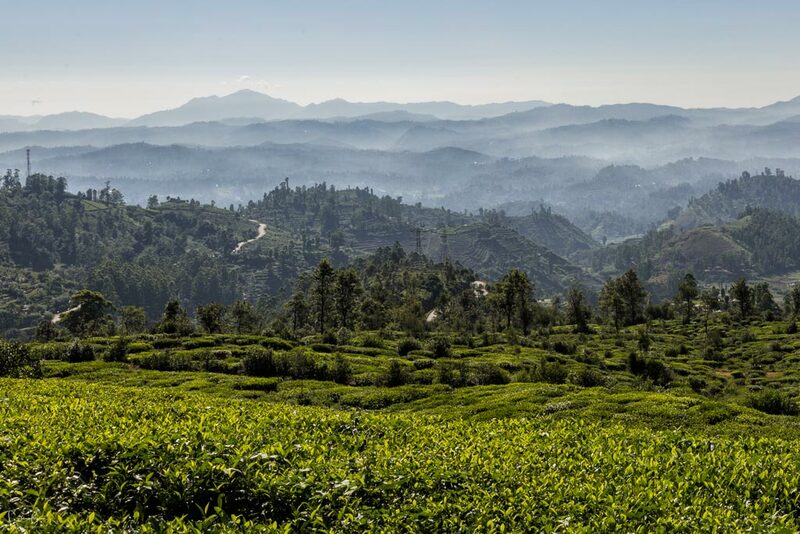 Embedded in a tea plantation with a breathtaking view in a less frequented area of Sri Lanka. It’s perfect to recharge your batteries and just relax. I made the inexcusable mistake to take a ride on an elephant. I asked my local driver for an elephant facility which is not frequented by too many tourists and he brought me to a dreadful camp (Elephant village near Kandy). Everything happened too quickly and suddenly I sat on a sweet elephant lady who walked down to the river. The Mahout walked beside her with his Ankusha ready to use. Only after I was back home I started my research on elephants and found out that it is an utterly awful business. Elephant mamas are killed to get the babies which are sold to the tourism industry. For a sustainable elephant life: Please avoid any facilities where elephants are captivated and don’t take a ride on an elephant. Unfortunately, even some care facilities, which used to be founded to protect the animals, turned into tourism centers. The Millennium Elephant Foundation to be named should be avoided. 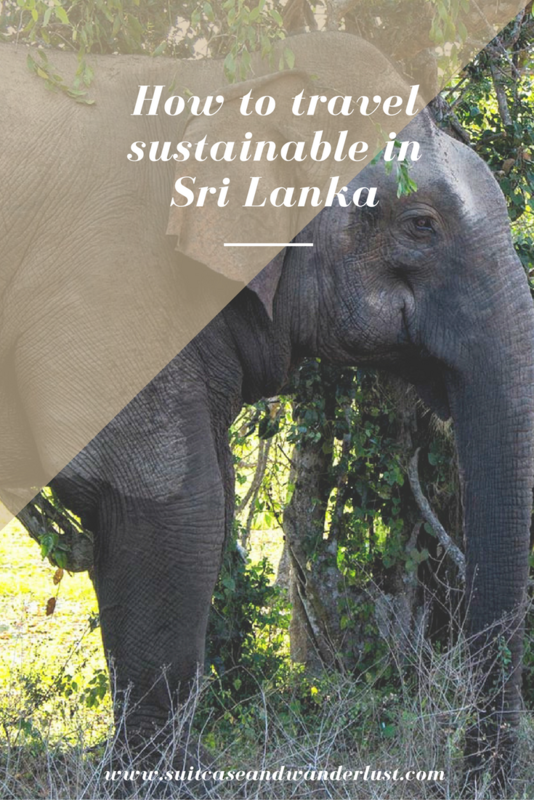 Tekla recommends the Elephant Freedom Project in Kegalle, where the protection of the elephants is really the focus and the elephant orphanage of Udawalawe where orphaned animals are raised and prepared to live in freedom. As a blonde with a huge camera, I sometimes had the feeling to be unwelcome. 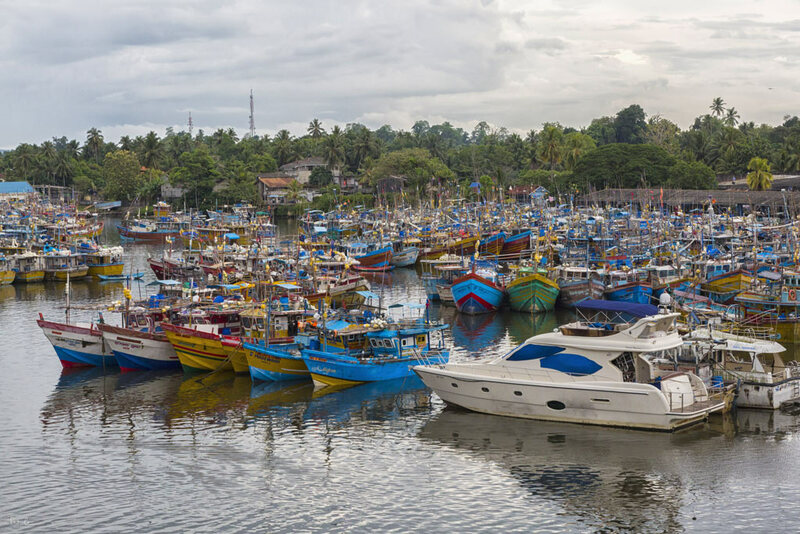 I love to talk with locals, but in Sri Lanka, I could not break the barrier, experience some local life and talk to locals about their life and wonderful country. I wanted to know from Tekla, how Sri Lankan people think about tourism and what we should keep in mind. Sri Lankans are very happy about tourism and in general a very hospitable nation. However, it is important that the tourists respect their privacy and culture. Tourists are welcome to seek the conversation with locals which are very open to it if you ask and tell a bit about yourself. Ofen respectful tourists receive an invitation for dinner or to join some cultural activities with the locals. It is important to know that Sri Lanka is a poor country and sometimes you find a financial purpose behind the friendliness. Tekla says that tourists should not be scared off and most of all show the anger. Keep in mind: Kindness is everything. A real no-go is taking photos without permission, especially photos of children. Unfortunately, many tourists overstep the mark. For my next Sri Lanka visit, I know now, that Singhalese are open for contacts with tourists as long as we are kind and respect their religion and culture. Of course I’ve shown my respect, however, I was a bit narrow-minded and scared off by some annoying people who desperately wanted to make business with me. Saraii Village near Yala national park. Sleep in a tree house and listen to the sounds of nature. Saraii Village is one of the eco-friendliest hotels in Sri Lanka. I once swam in the sea surrounded by plastic bottles and plastic bags and swore to reduce my own amount of plastic where possible. It is so easy for me to avoid plastic bottles in my home country Austria. I just go to the tap and refill my water bottle. But what can I do in countries where you cannot drink water from the tap? Bring your own refillable Dopper bottle and refill it from the huge water dispenser in the hotels. Unfortunately, it is still difficult in some areas where dispenser stations have not yet been established. Tekla says it helps to ask for water dispenser in order to strengthen the awareness for further dispenser stations. You can also use water filters to filter the tap water. Tekla is using them herself at home, so no worries, they’re safe. Another sustainability tip: Some grocery stores sell cloth bags and offer discounts on your purchases if you’re using the jute bag. Gaga Bees* near Yala national park. Traditional living and food from local farmers around nearby villages. Try small family-owned hotels which support the spirit of sustainable travel. Many are focusing on this topic like the Mudhouse. Use the air condition as little as possible. Please don’t put the room key in the power slot in order to let the air co run the whole day while you’re not even in the room. Use public transportation. Train rides are a unique and very popular experience in Sri Lanka. In case you’re using a car, turn the air condition down to a minimum. Set a good example and use your refillable water bottle and never pollute the streets, beaches or the nature with trash. One personal tip for sustainable travel: Compensate your flight CO-2 emissions. No matter if you’re invited for a cup of tea, a conversation or even an overnight stay, Singhalese always welcome you as part of their family. Disclaimer: This post has been sponsored by Fairaway Travel. 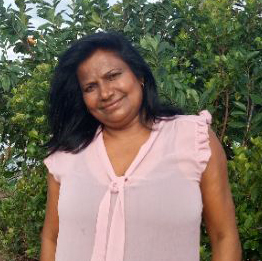 However, the experience in Sri Lanka was my own and I can only express my full commitment to Tekla’s recommendations. Links marked with a * are affiliate links which means I get a small commission if you book via my link. This is at no extra cost for you, of course. I think so many people did and felt guilty afterwards. I still feel embarrassed! Let’s spread the word and hope one day this awful industry will die. Love the photos and the post, of course!! Those plastic bottles are really what get me – but love the tip on asking ! It’s so true! If we don’t ask, we’ll never receive, we have to create the necessity ! 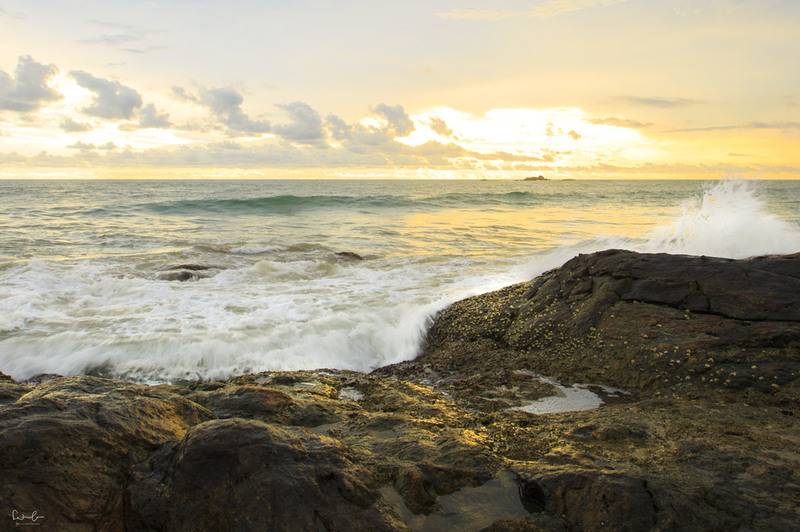 Those pictures of the lesser-known national parks in Sri Lanka look gorgeous. I went to Yala, and, like you, I found it very busy. It was very disconcerting to see how the jeep drivers charged around the park in a mad pursuit of the leopards. There were hundreds of jeeps all in the same place, it simply can’t be good for the wildlife or their habitats. I think there needs to be more awareness of the damage that we do to places when we visit. I totally agree with you. It’s total madness there! Poor wildlife. Great post – it’s so important for us to continue to talk about sustainable travel. I love how honest you were about riding the elephants. I did the same thing in Thailand many years ago, but now I know better thanks to posts like this. Absolutely love this. Me and my husband travel full-time and we are now more mindful than ever when it comes to sustainable travel. This is a great post! I’m glad that you interviewed Tekla, giving us the opportunity to hear the perspective of a local. I like that you two discuss intersecting aspects of sustainability, and that you addressed the relationship between tourists and locals – aka cultural sustainability. I try to keep in mind that while many folks are open to tourists/tourism that not everyone is, and try to reduce my “cultural footprint” as much as possible while traveling. I do this by try to be conscious about what I wear, about not always taking out my camera, trying to speak the local language, etc. Also, very much in agreement about not taking photographs of people without asking, and not photographing children in general. I wish more travelers understood the importance of this. Great tip and beautiful pictures! I would love to visit Sri Lanka one day! Fantastic article (the photos are stunning!! Sri Lanka has gone straight on the travel list), and sustainable travel is definitely something I agree with, and want to explore more. I can’t imagine going to another country, and treating it as a resource for my own wants and needs. Thank you for writing this! Thank you so much, Nicky. I’m glad you liked the article and my photos. I completely agree! I wrote a post about Sustainable Travel last month, and the importance of it, so I am always happy to see that other people believe in it too. I actually use a Dopper water bottle too, they are amazing for traveling. Truly wonderful information and so informative. Thank you for providing this. I made the same mistake in Thailand of riding an elephant. It was before I knew how awful the industry is. I thought I chose a rescue sanctuary but now in hindsight it probably wasn’t. I would love to visit Sri Lanka someday. Thanks Jessica. I’m glad you like it. Sri Lanka is such a wonderful country, I hope you’ll make it there soon. This is such an important post. I am in Sri Lanka now and we opted to skip Yala for this very reason. Thanks for sharing! Wow! I’m honored that my post actually helps to contribute. I hope one of the other two National Parks is on your itinerary. Have a wonderful journey. This is a really interesting post and important topic to discuss. I went to Sri Lanka and loved it but I never thought of the impact of so many tourists in Yala. Food for thought! I appreciate your honesty in sharing your mistakes! Nobody has a perfect record and there’s no shame in realizing you have made choices you wouldn’t repeat when you’re learning from them.